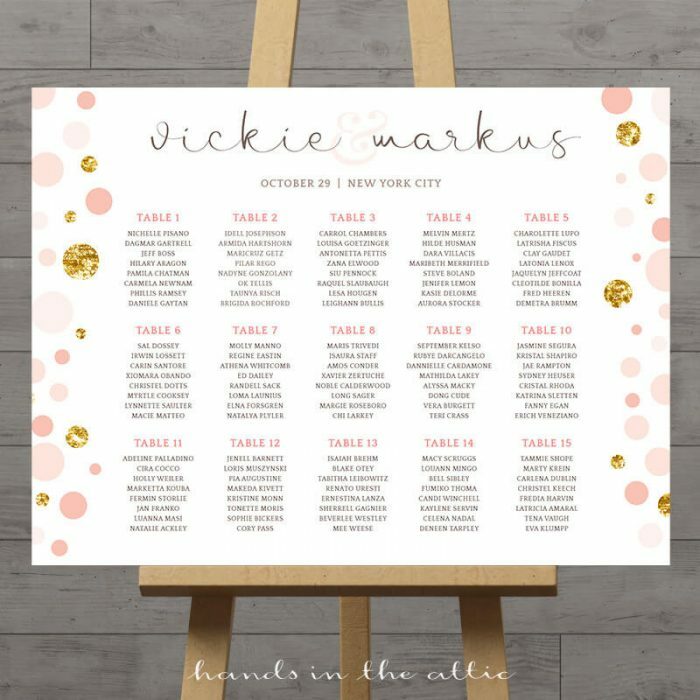 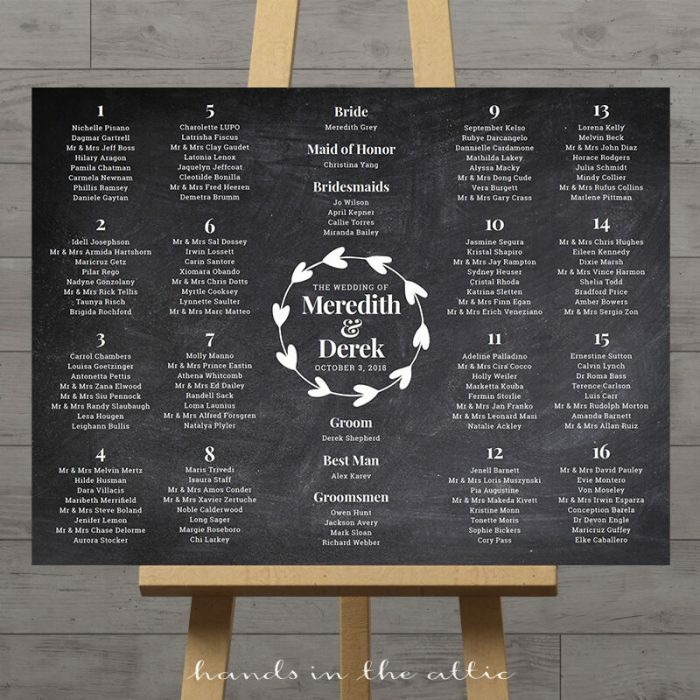 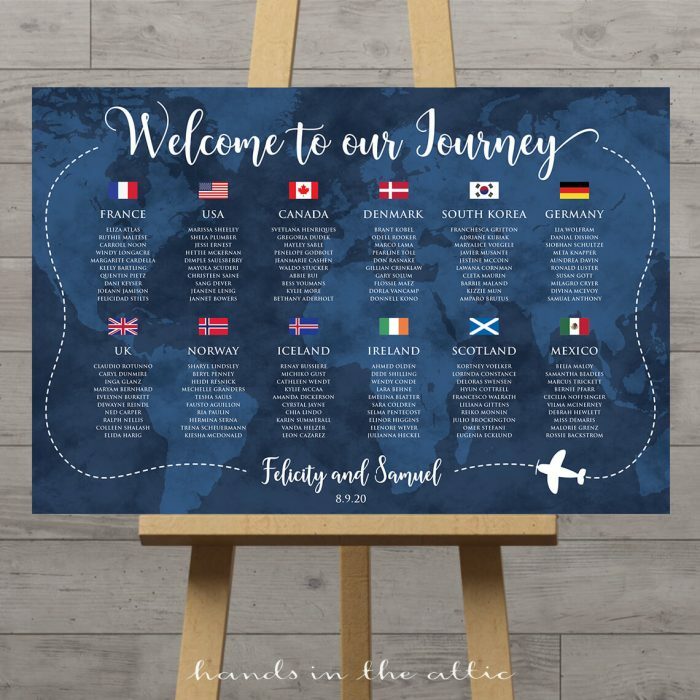 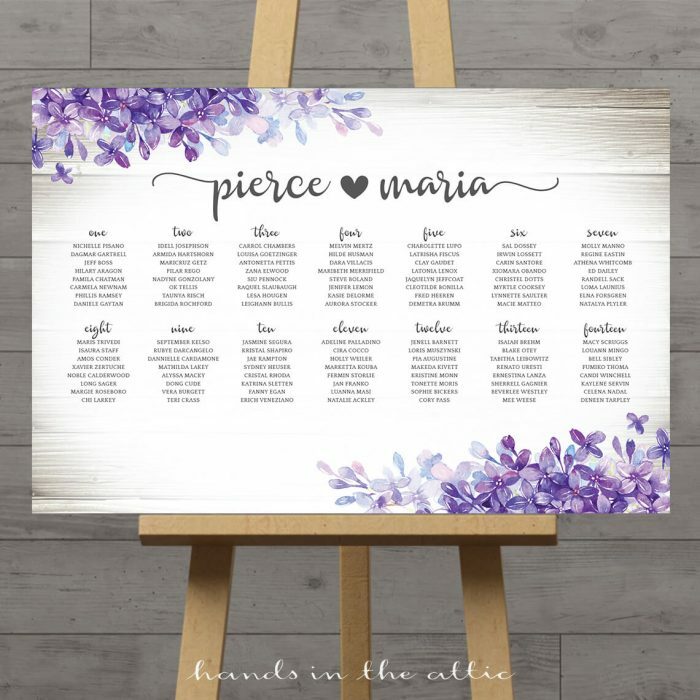 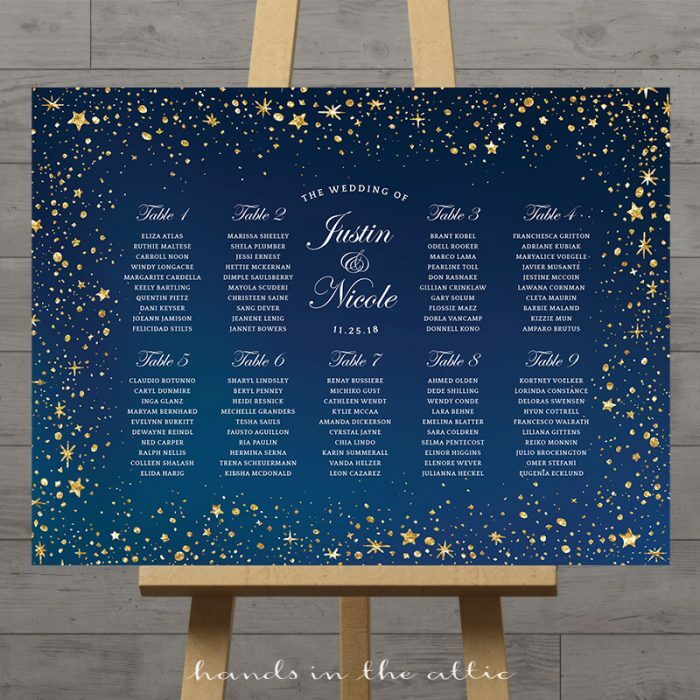 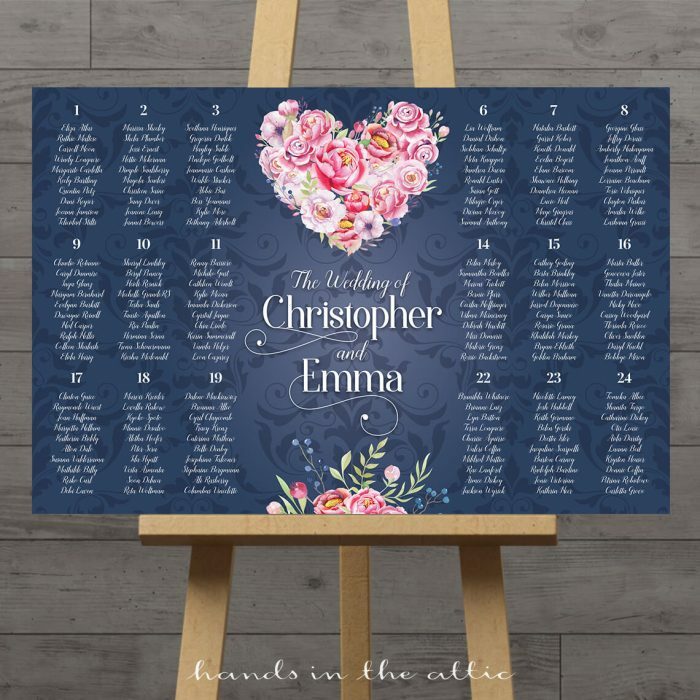 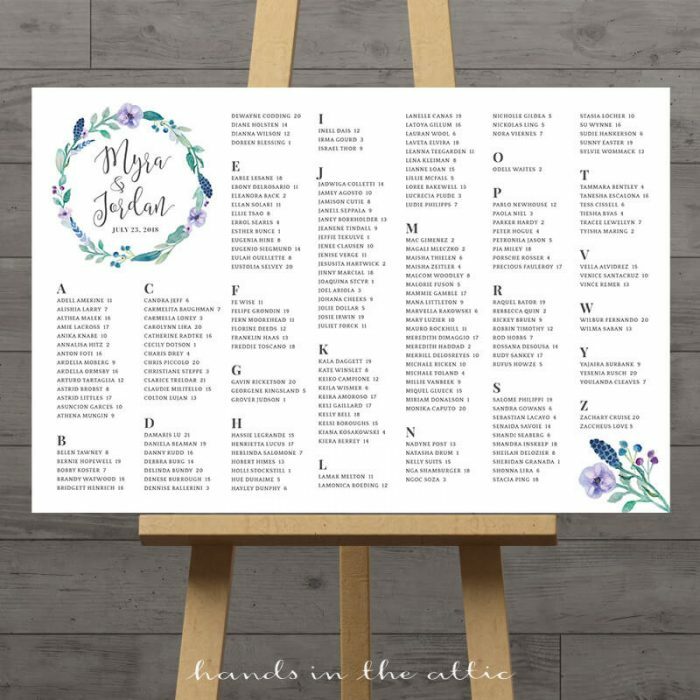 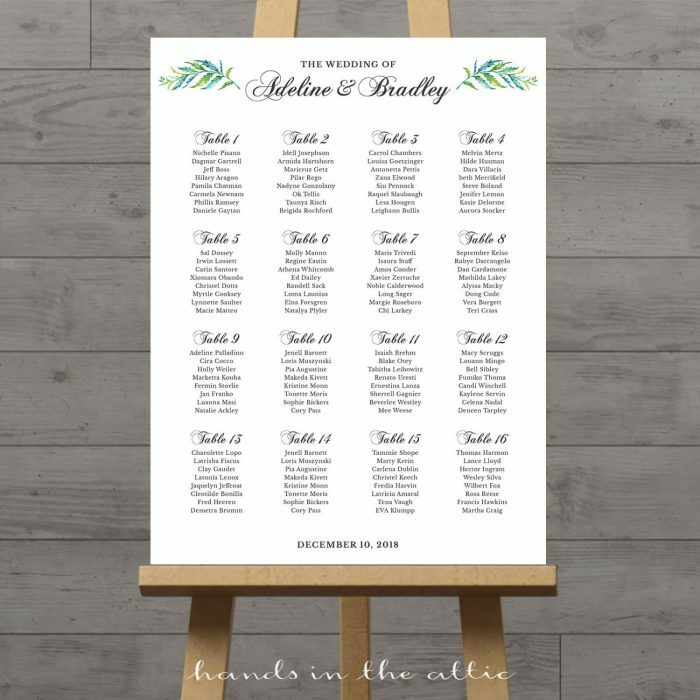 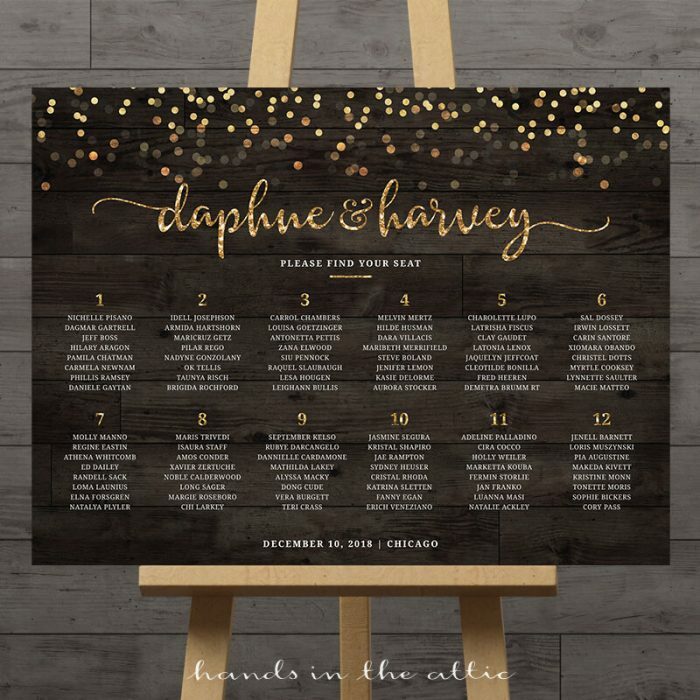 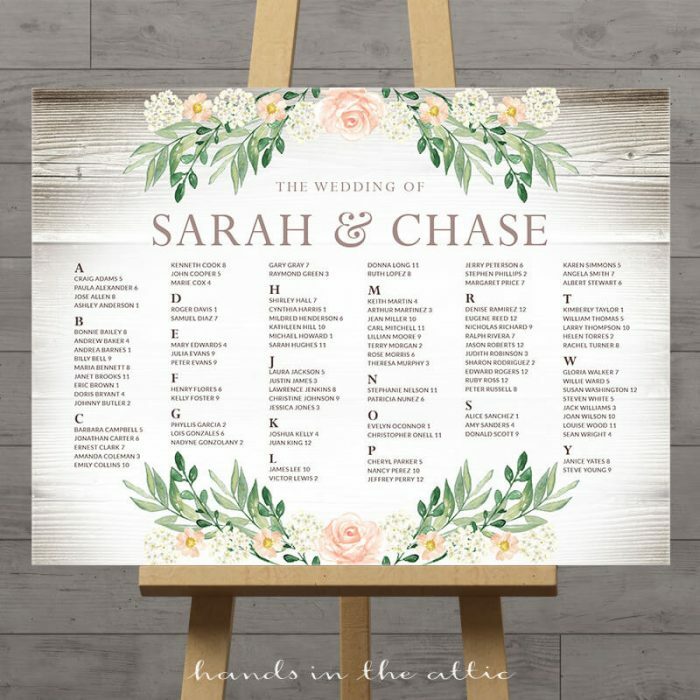 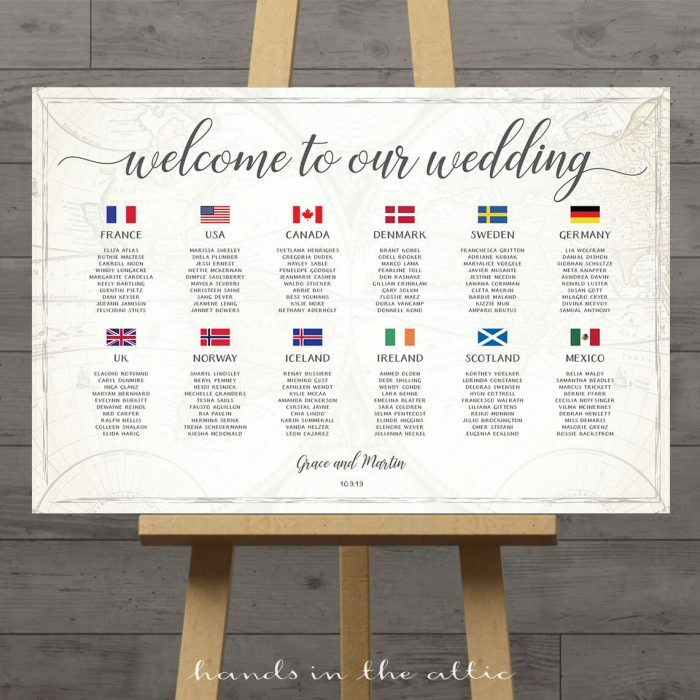 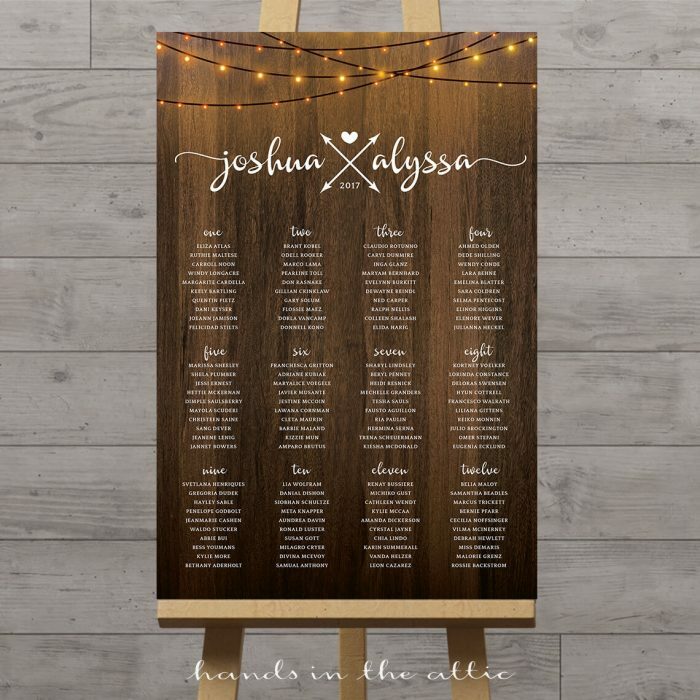 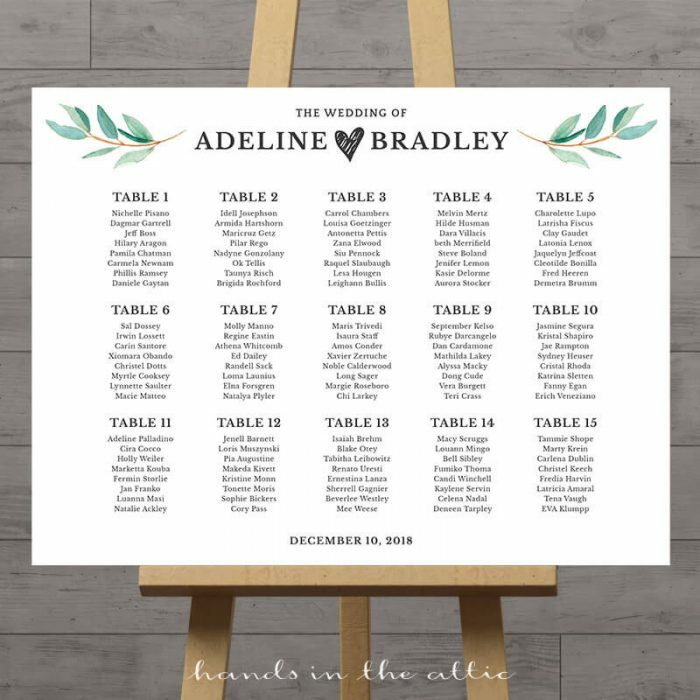 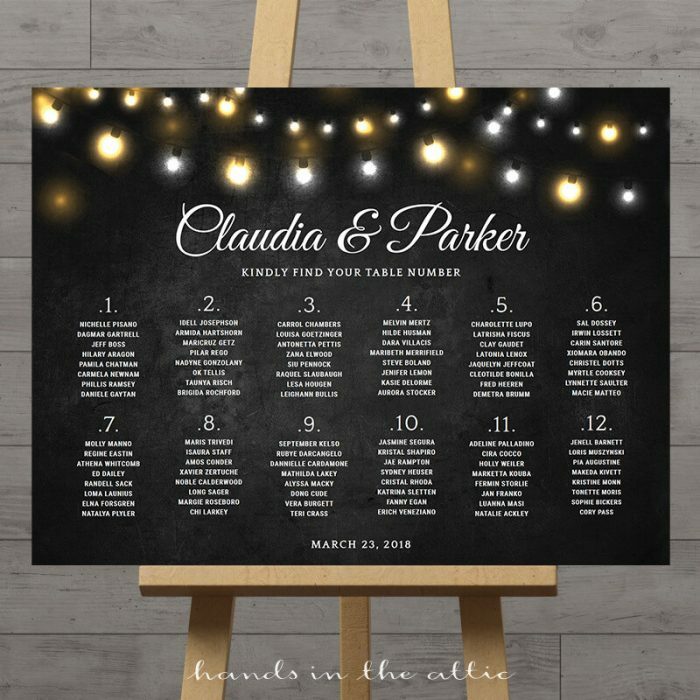 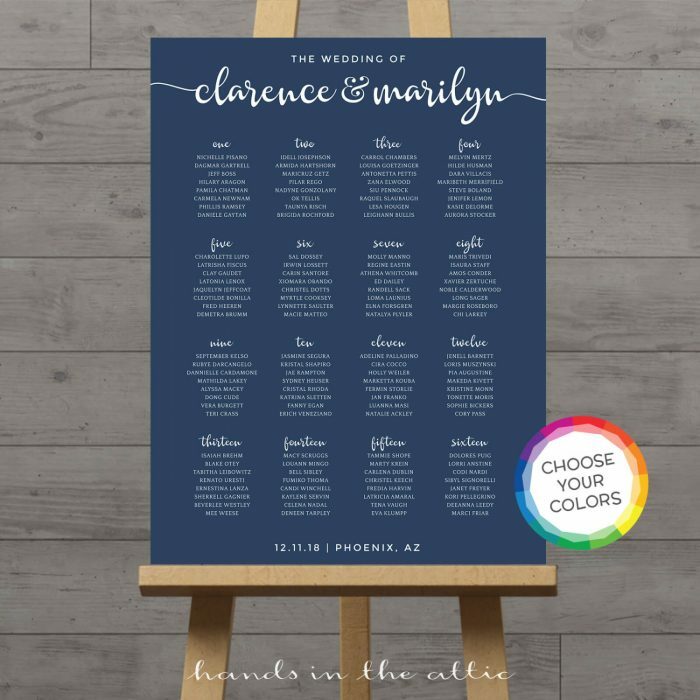 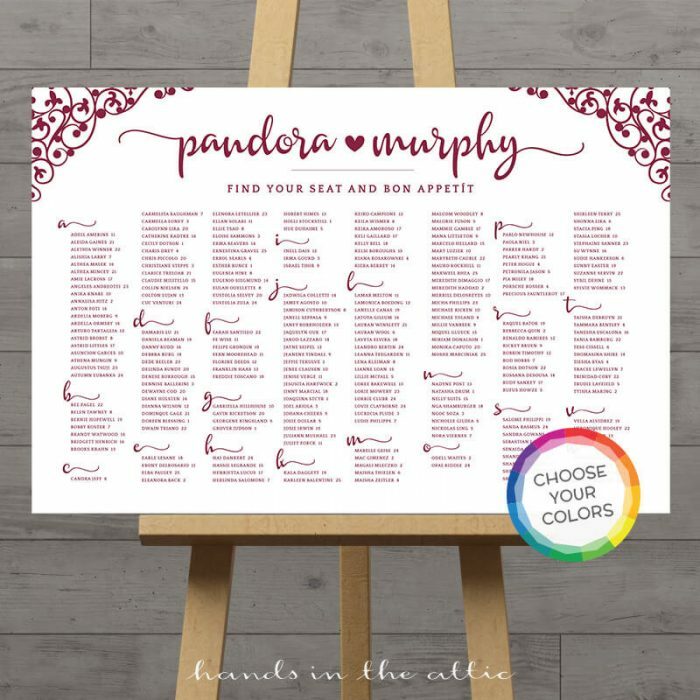 You have spent hours planning the seating arrangements for your guests, now make sure they know their table assignments with one of our wedding seating charts. 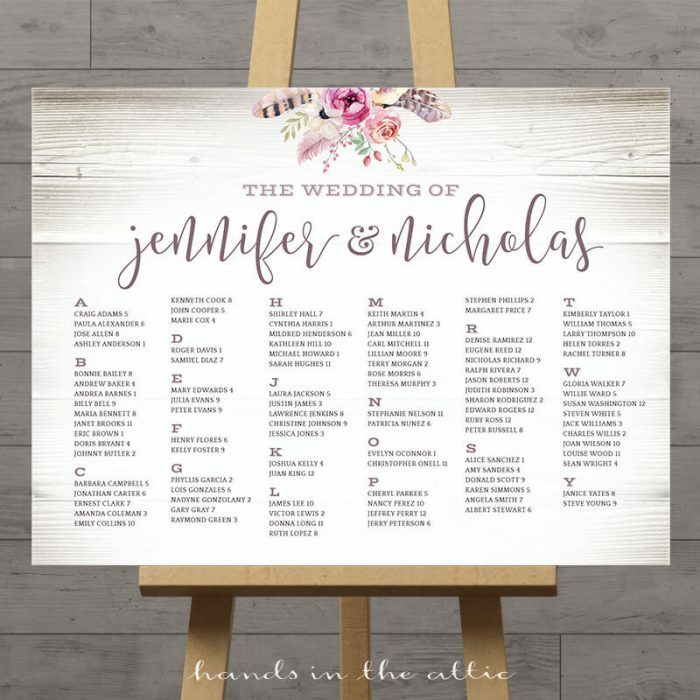 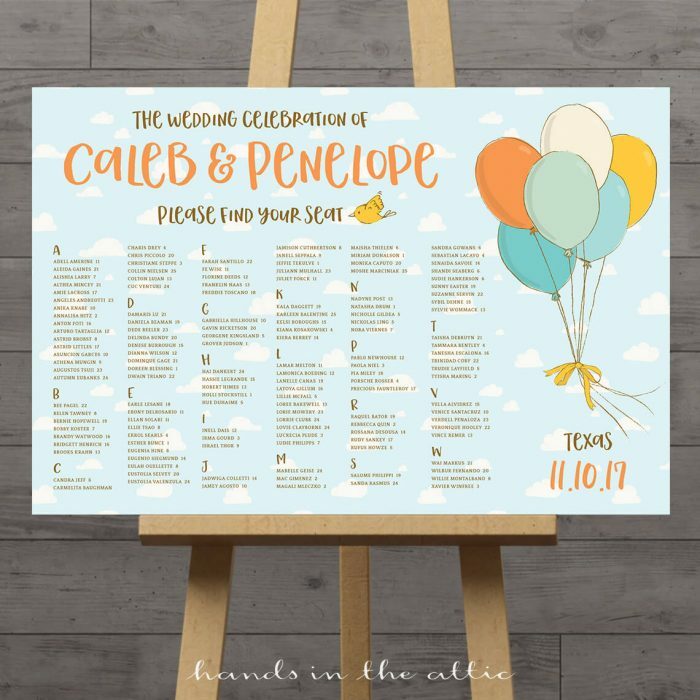 Also known as table plans, these posters are usually displayed at the entrance of your seated reception. 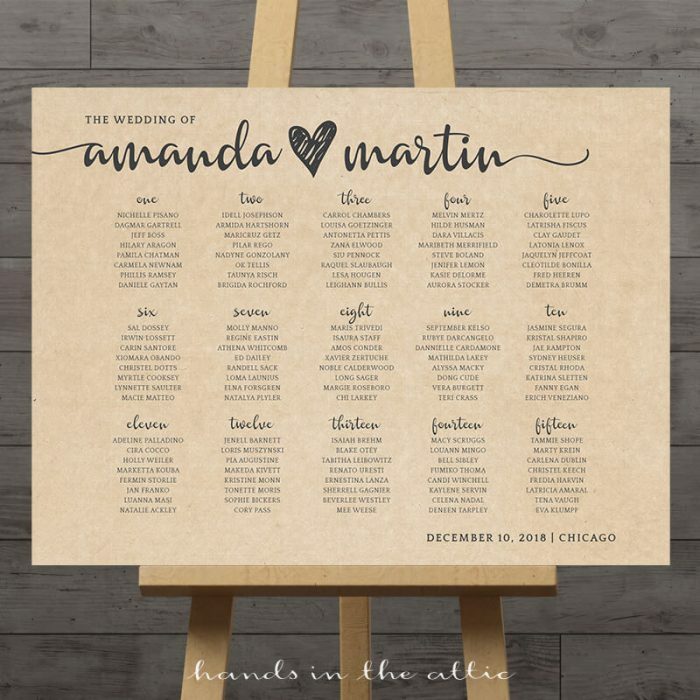 Choose from a large variety of designs available, then provide your guest list for us to customize. 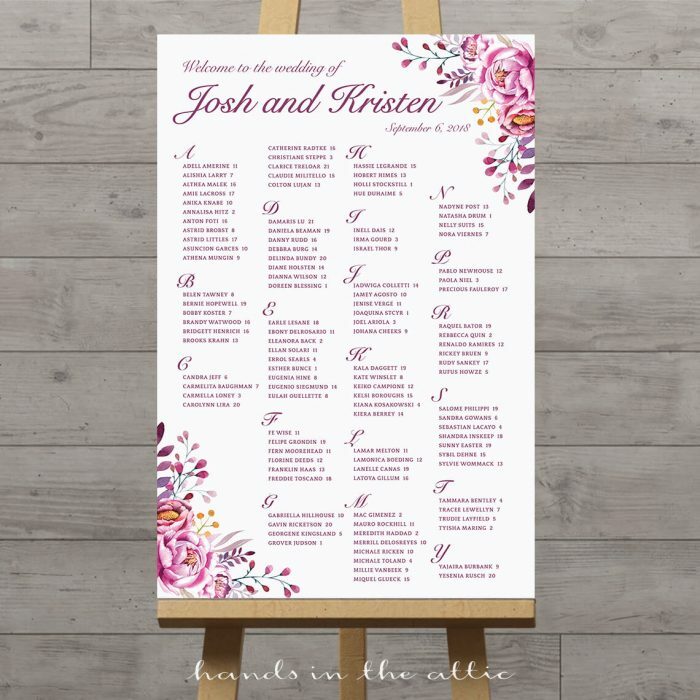 You will receive the printable chart in PDF format. 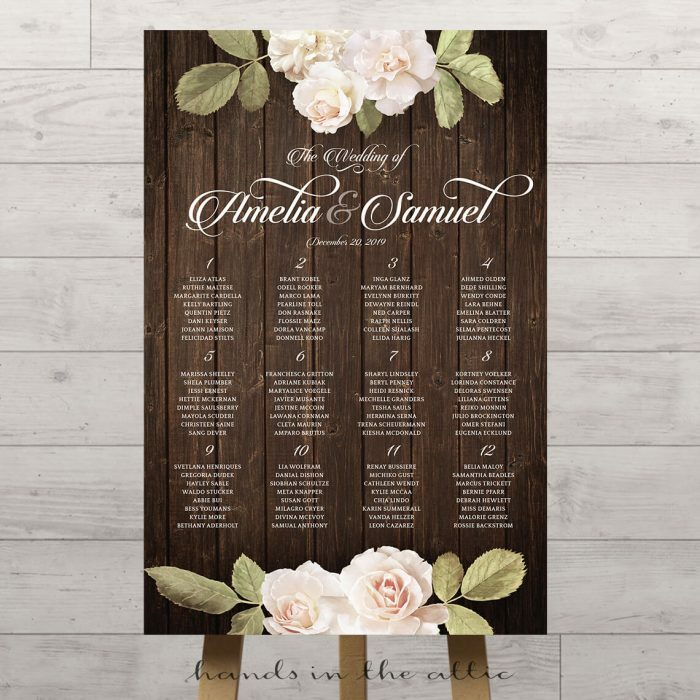 The standard turnaround time is 3 to 5 days, but if you need it sooner, options for rush services are available. 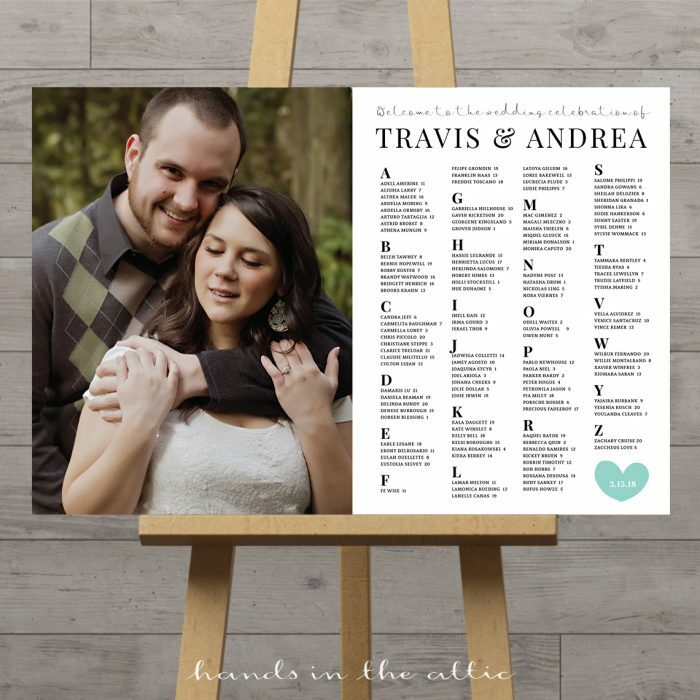 Upload the finished digital file to an online printing service of your choice. 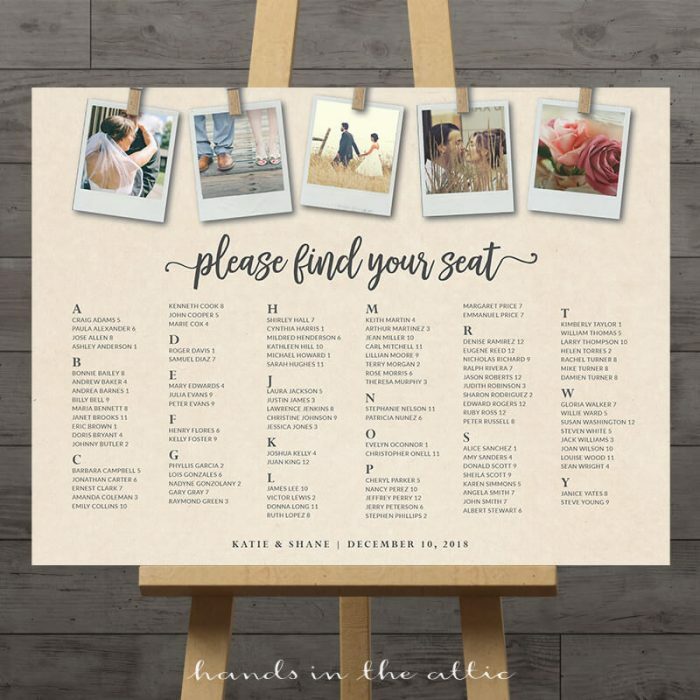 For seating charts that you edit on your own, please click here.